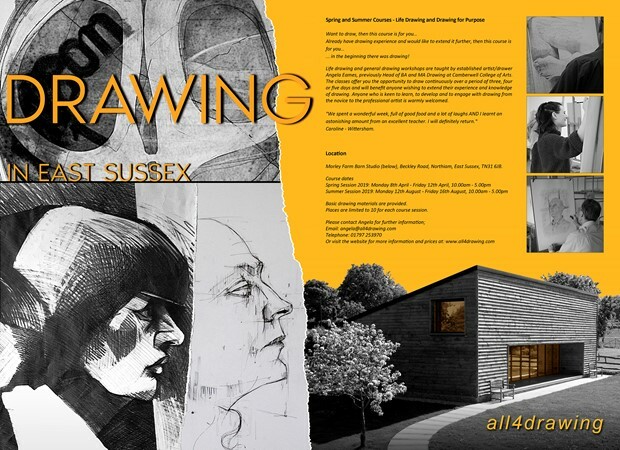 Location: Morley Farm Barn Studio, Beckley Road, Northiam, East Sussex, TN31 6JB. The Life Drawing Workshop offers you the opportunity to draw from the human figure, continuously over a period of three, four or five days and will benefit anyone wishing to extend their experience and understanding of drawing. Anyone who is keen to learn, to develop and to engage with drawing from the novice to the professional artist is warmly welcomed.